Free Printable May 2019 Calendar. 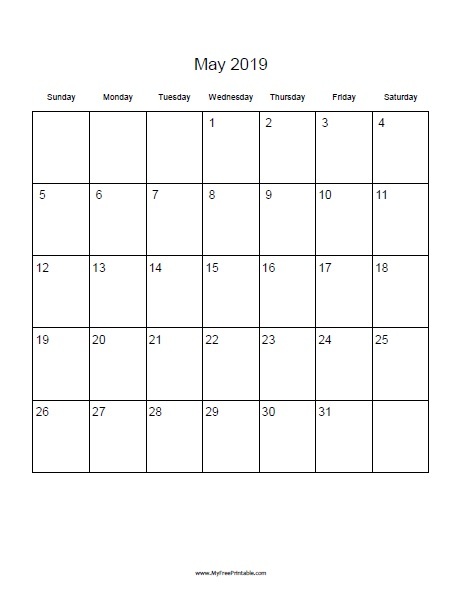 Free May 2019 blank calendar that can be used for planning and writing all the important things you need to remember. Can be of great help at home, office, club, workplace and homeschooling. This calendar can help you remember the important events for the month of May. Write notes, schedule, chores, loan payment, family trip, Mother’s Day, TV show premiere, anniversary, games and all you want write. Calendars available starting the week on day Monday or Sunday in PDF format. Click the link below to print your free May 2019 calendar now.